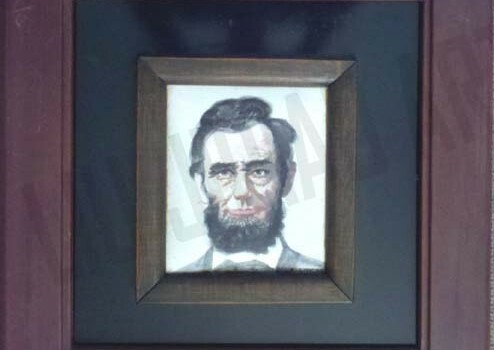 When Liu started painting again in the mid 60’s, he started by painting portraits of presidents and other famous people of the time. 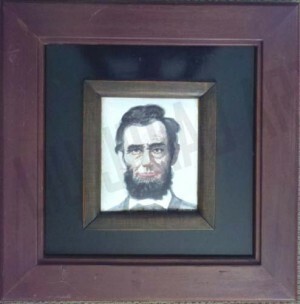 This portrait of Abraham Lincoln was one of his earlier ones. 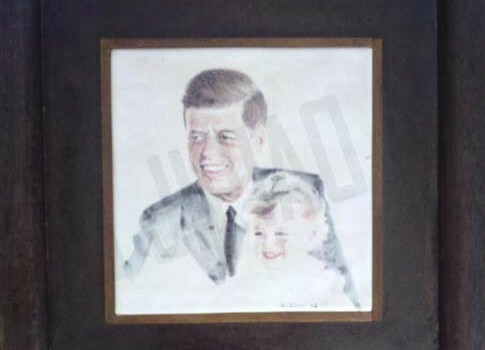 His portrait of Lyndon B. Johnson took first place in a contest, went to the White House and later on to the Lyndon B. Johnson Memorial Library. 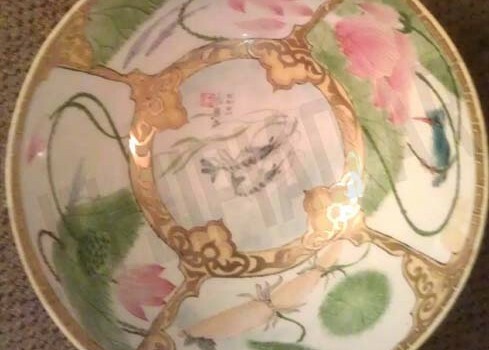 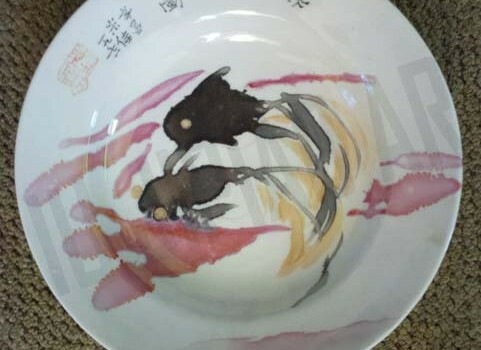 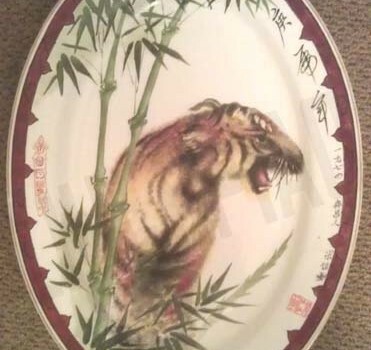 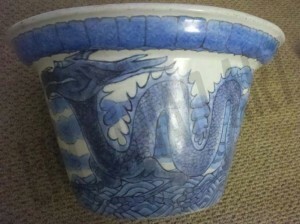 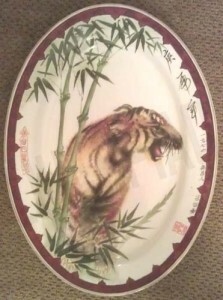 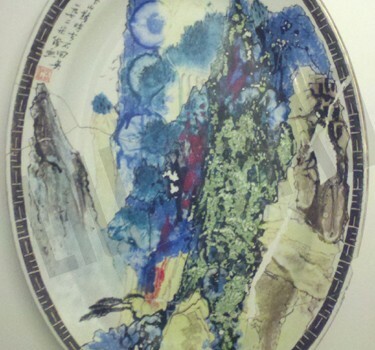 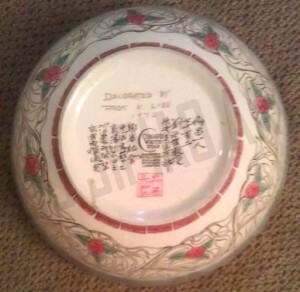 Porcelain painting demonstrating Liu’s design expertise. 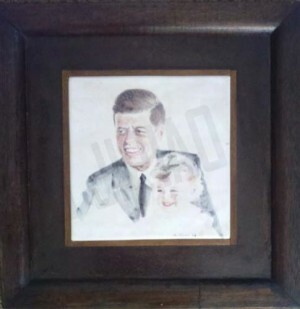 JFK & Caroline Portrait on Porcelain Tile mounted in handmade wooden frame. 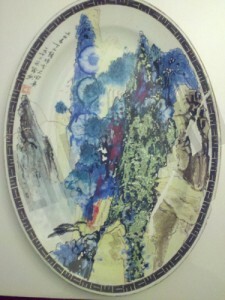 Liu painted several portraits of various members of the Kennedy Clan. 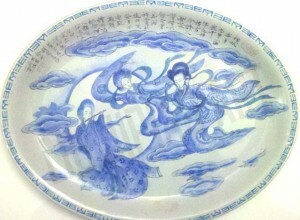 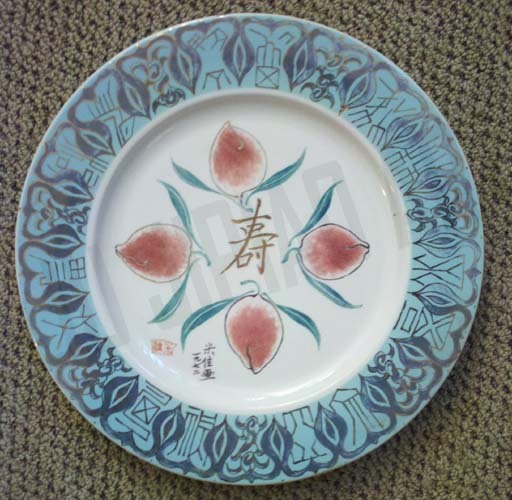 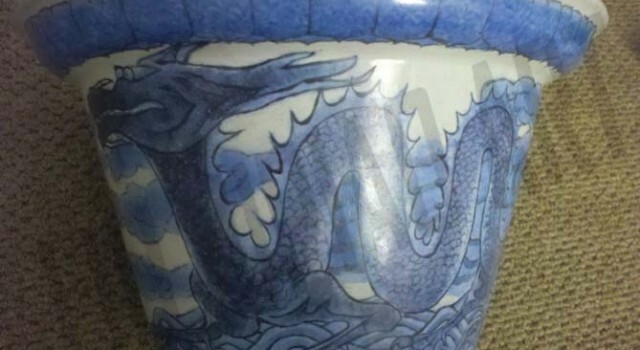 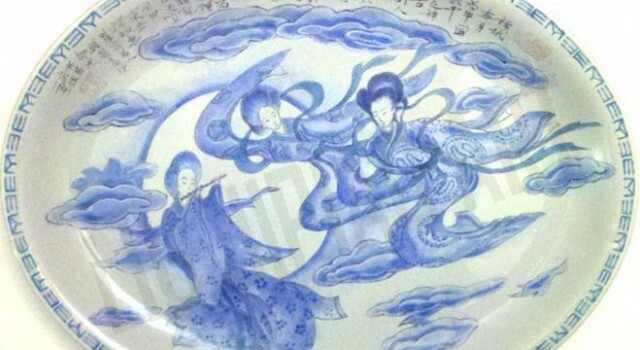 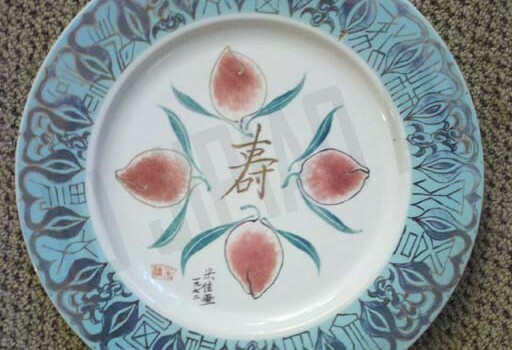 Having studied in a Jingdezhen Porcelain making factory as a young boy, Liu often returned to his roots of painting in the famous blue and white motif of design. 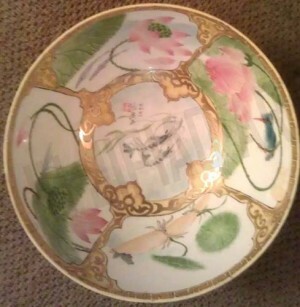 Sections of water lilies on the inside and roses vines circling the outside. 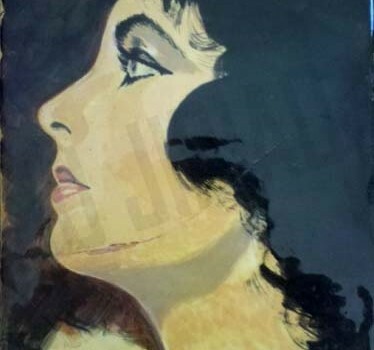 Close up profile of Elizabeth Taylor on a porcelain tile unframed. 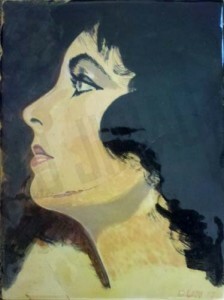 Liu also did an oil painting of her. 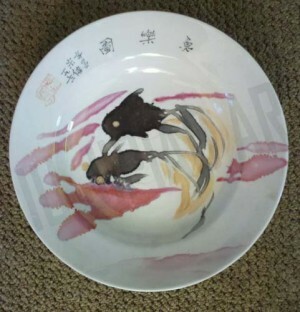 Calligraphy – Dedicated and inspired by the first moonwalk.